Everywhere in the world, there are people who have a strong connection with Hamburg. They are either born in the Hamburg Metropolitan Region, or they have lived, worked or studied in Hamburg for a certain period of time. Some of these people have key roles in society, business or culture, and are feeling strongly for Hamburg and its surroundings – despite the geographical distance that separates them from Northern Germany. For the City of Hamburg, these strong bonds offer great potential for networking activities across the globe. This is why the Hamburg Senate Chancellery and stakeholders involved in Hamburg Marketing have launched the HamburgAmbassador programme. 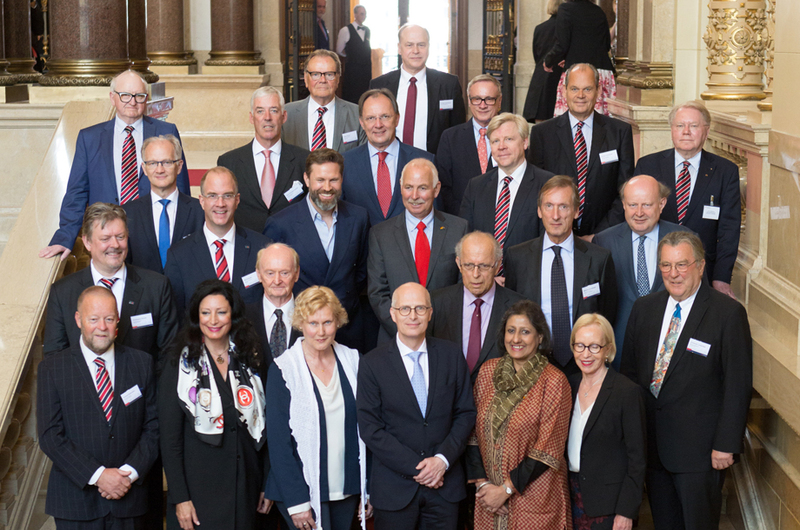 Coordinated by the Hamburg Marketing GmbH, and based on one of the key goals of the Senate’s guiding principle of sustainable growth, the HamburgAmbassador programme aims to promote international awareness of Hamburg. These efforts have resulted in an innovative network of honorary ambassadors for the city, opening up new opportunities in terms of advertising, image promotion and active location marketing. These efforts have resulted in an innovative network of honorary ambassadors for the city, opening up new opportunities in terms of advertising, image promotion and active location marketing. A total of 34 people in 24 countries across the world are acting as honorary representatives. All Hamburg state authorities and institutions are entitled to put forward names. A selection committee, comprising representatives of the Hamburg Senate Chancellery, the Hamburg Chamber of Commerce, the Hamburg Marketing GmbH and the HIW Hamburg Business Development Corporation, review the proposals. Proposals are finally submitted to Hamburg’s First Mayor, who then appoints the HamburgAmbassadors. Being an honorary representative, it is precluded that candidates nominate themselves. Similarly, there are strict criteria that determine whether a person meets the requirements for this honorary position. The honorary office expires when a HamburgAmbassador shifts his or her place of residence and/or sphere of work to another part of the world, or returns to Germany. The honorary representatives work on Hamburg’s behalf in their respective spheres of activity. They promote the Hamburg Metropolitan Region at business events by giving talks or by organising e.g. tailored “Hamburg nights” for friends, business partners, political decision-makers or local representatives. In addition, HamburgAmbassadors are also involved in the planning of trade fairs, meetings, conferences and receptions, and support the city’s activities abroad through their own contact networks. Once a year, all HamburgAmbassadors come together for their annual meeting to obtain information on new developments and trends in Hamburg. The meeting gives them the chance to network among each other and with partners within the city. Please find here a list of all active HamburgAmbassadors.